In this fast paced and developed city of ours, everyone is always spending money on the latest technology to the latest clothing on the rack! We are a citizen of shopping addicts and nothing is going to stop or slow us down in our spending habits. This month, TANGS unites brands in support of good causes and socially responsible shopping with exclusive products and promotions for various beneficiaries and lets you #ShopForGood. For the month of October, TANGS will donate 50cents to the Singapore Children’s Society for every receipt generated (up to a max. of $100,000). More than 50 brands have come on board to be a part of this wonderful social movement. 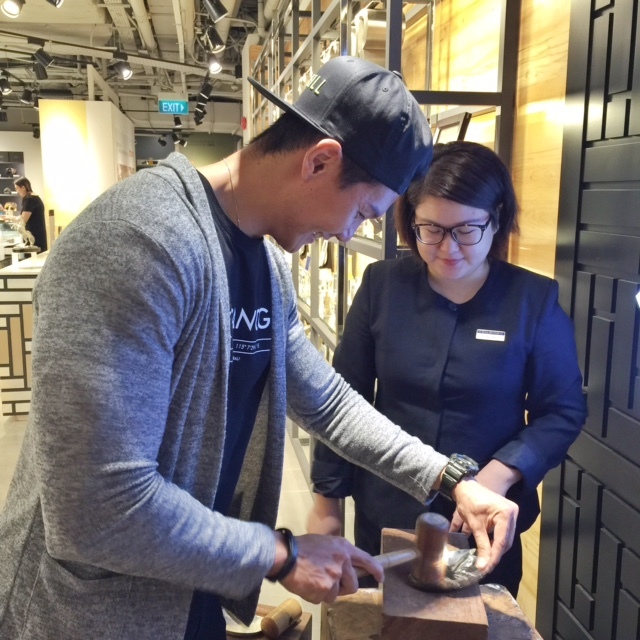 I was fortunate to be invited to TANGS’ shopping event on 10 October for an afternoon of fun and responsible shopping. 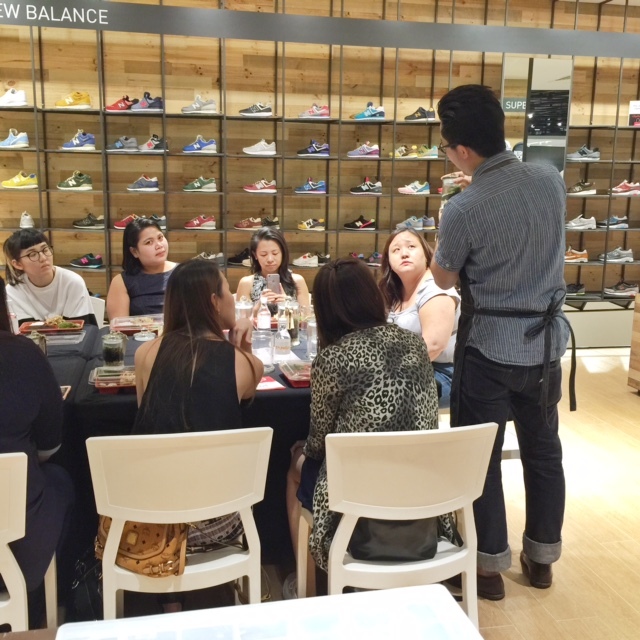 There were also a number of interesting workshops that were happening at TANGS and I was more than happy to join in! 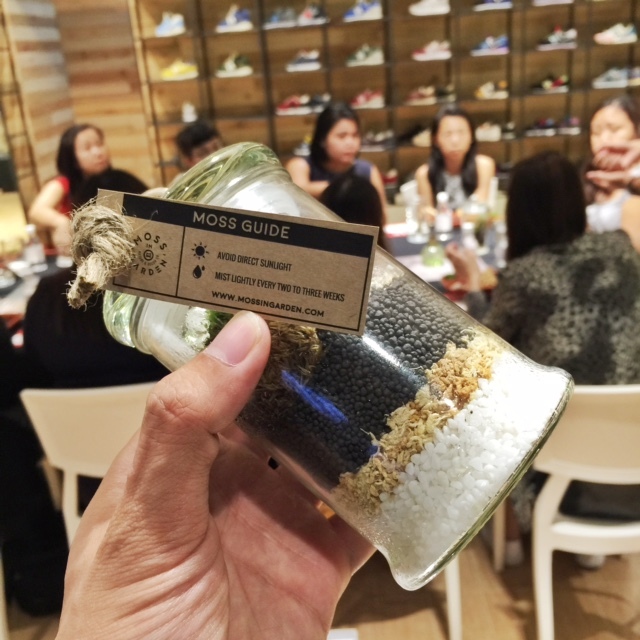 First stop, Terrarium Workshop by Mossingarden. Mossingarden is a verdant venture that began with an idea to re-purpose products naturally. No products are the same though identical. Through adventures and the love for nature, with a flair for artistic beauty, it seeks to merge together art and nature to a whole new level. All works are produced with delicate care and creativity. My very own jar of MOSS!!! 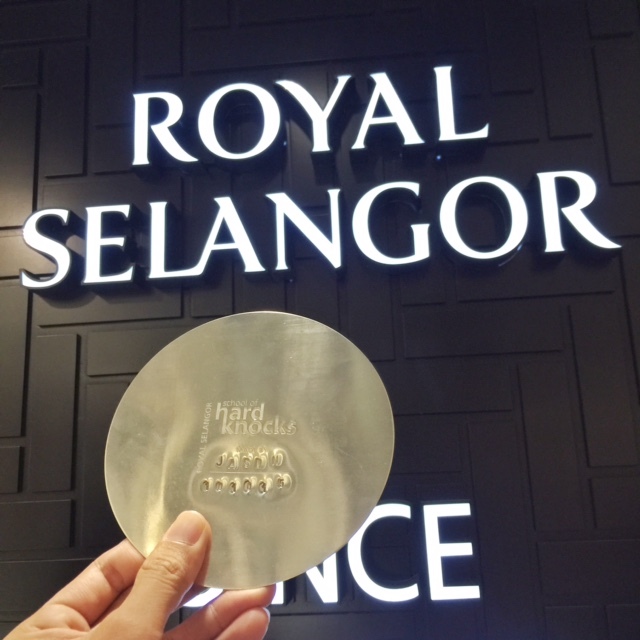 Next stop, I went to Royal Selangor for some banging and clanging. I’m not talking about the iron paradise aka the weight room; I was at Royal Selangor to make my very own pewter bowl! Got my name engraved on the pewter bowl before we started with all the banging and knocking! 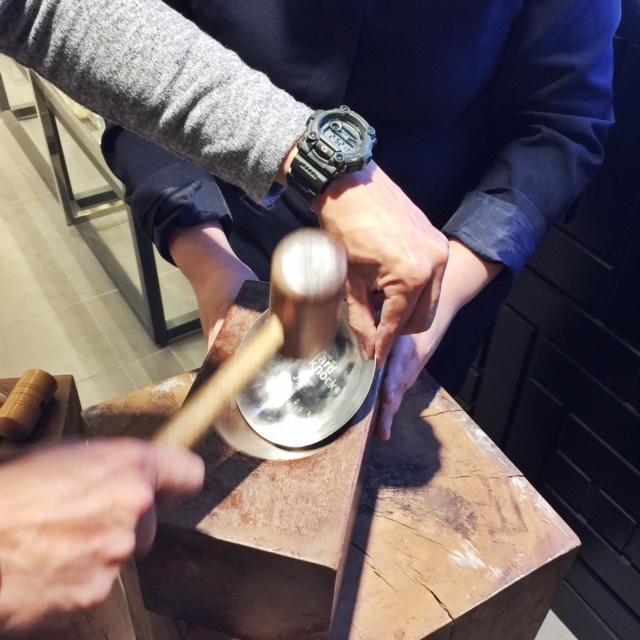 Make your very own pewter bowl for $30 and Royal Selangor will donate 50% of it to charity! How cool is that? After all the hard work, I was led to TANGS beautiful Hideaway at level 7! I didn’t know that such a place in TANGS existed. And while we were taking a breather, the star for the day arrived. I’ve been watching his shows since I was little and he has always been one of my favourite TV actors. This guy never grows old and I was so honoured to be sharing a personal conversation with him about his journey in the entertainment industry. 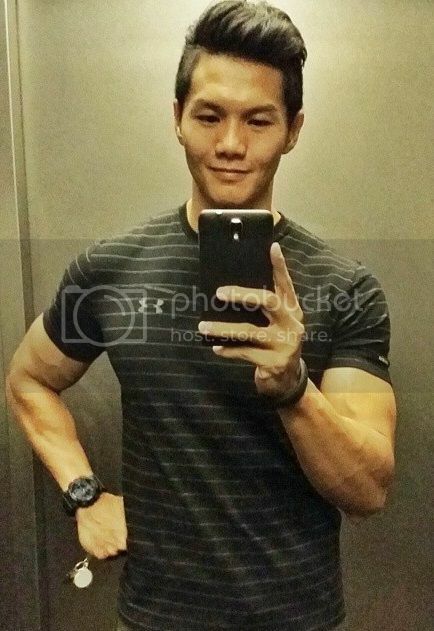 Ladies & gentlemen, the one and only…….EDMUND CHEN!!! Edmund Chen was invited to TANGS as he collaborated with Samsonite to produce some really beautiful and limited edition travel luggage. 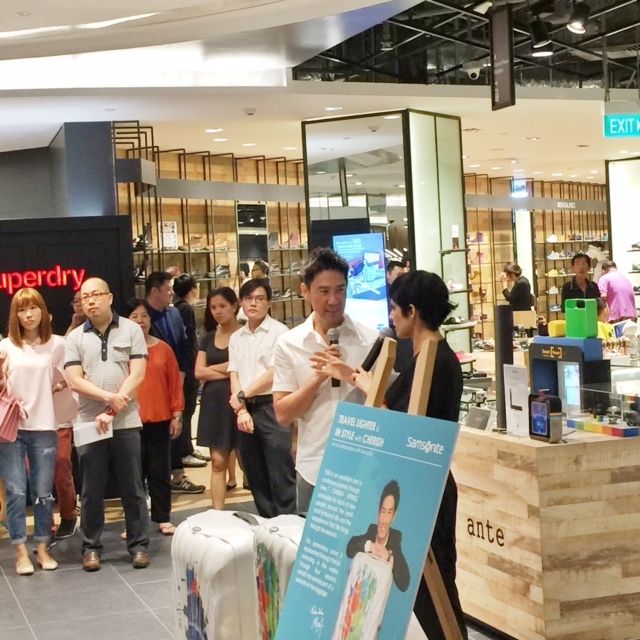 Edmund Chen was led to the huge crowd awaiting his appearance at level 3 where he did some Samsonite giveaways. #ShopForGood is a conscious decision by TANGS to take the first steps to a whole new way to shop, for the greater good. 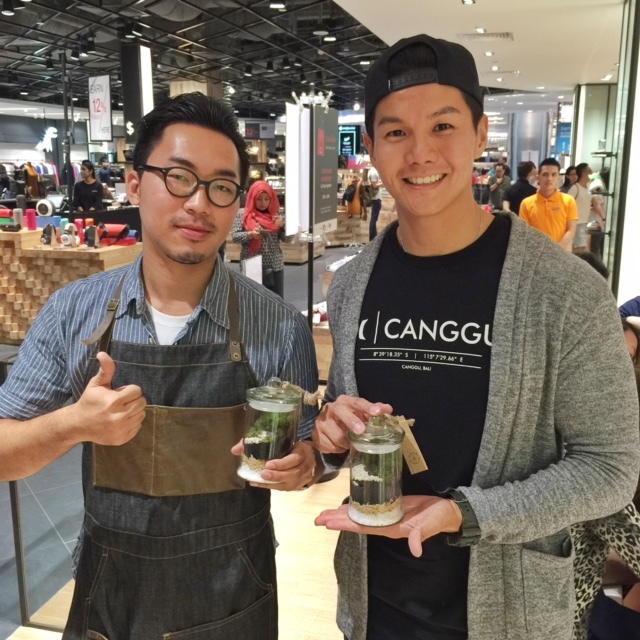 So head over to TANGS this month to do your part! Team Axis Pte Ltd was established by my partner and I in 2009, in the hope of educating and enriching youths, as well as adults about sports, health and fitness. Visit our website (click on the logo) for more information. Always wondered how everyone is GETTING IN SHAPE but not you? Check out the 4 Signature Training Programmes at Brandnewstartsg and be prepared to find the right answers to your fitness goals! Visit us for your FREE Health Consultation today!